New car sales in the UK show no sign of abating, with registrations rising for the 29th consecutive month. Figures from the Society of Motor Manufacturers and Traders (SMMT) show 172,907 new cars were registered in July, a rise of 6.6 per cent. The increase in registrations has taken the SMMT by surprise, prompting it to upgrade its market forecast for 2014 to 2.45 million registrations, up 8.1 per cent on 2013. Ford continues to dominate the sales charts, with the Fiesta continuing to hold the number one spot with 70,007 models sold in 2014. 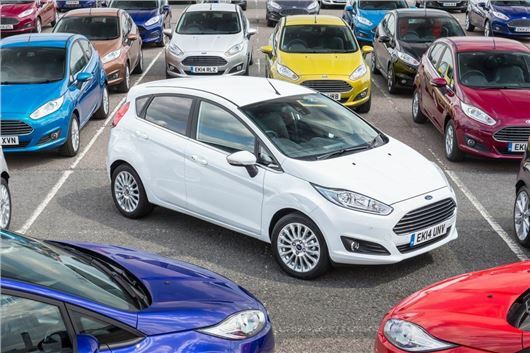 The Focus is the UK’s second most popular car, with 50,767 registrations, followed by the Vauxhall Corsa (47,752) and the Volkswagen Golf, with 43,277 sales. Sales of electric and hybrid cars are enjoying impressive growth in 2014, with a 34.4 per cent year-on-year increase. However, the market share for alternatively fuelled vehicles still remains low, accounting for just 1.9 per cent of all new registrations. Diesel registrations have increased 11.0 per cent in 2014 - making up 52.9 per cent of the market - while petrols have seen a modest 1.0 per cent rise, accounting for 43.3 per cent of all sales. Mike Hawes, SMMT Chief Executive, said, "July saw the new car market extend its record period of growth to a 29th month, as confident consumers took advantage of an array of new products and attractive finance deals on the latest fuel-efficient new cars."